Over the past 10 days or so, I've watched more couples fall in love in small towns than I care to think about. I've seen Christmas saved from Scrooge-like developers, reluctant Santas, and one crotchety duke — played by the late Roger Moore! — and I've learned that it is a truth universally acknowledged that a single woman, whether or not she's in possession of a good fortune or in want of a husband, is likely to find both in just under two hours. Turns out I was only half-joking when I tweeted Dec. 2 about ending "the week in a fetal position watching the Hallmark Channel." That, you might recall, was the week NBC fired Lauer after receiving a complaint about "inappropriate sexual behavior in the workplace," and Minnesota Public Radio broke ties with Garrison Keillor. The news since hasn't been getting better. I did end up turning on Hallmark the night of Dec. 2. Before I knew it, it was very late, and I'd watched more than one first kiss, thanks to the network's habit of not really pausing long enough between movies to let a person think. I'm apparently not alone. The Hallmark Channel is having a wonderful holiday season. In November, both Hallmark and its sister channel, Hallmark Movies and Mysteries, scored their best ratings ever in total viewers, and that night I fell down the Hallmark rabbit hole turns out to have been the network's highest-rated day ever in TV households. And though the network spokeswoman who supplied some ratings data suggested no such thing, I don't think it's a coincidence that programming featuring courtships so decorous Jane Austen would've found them slow should be attracting more viewers at a time when some of us could use a break from stories of men behaving badly. 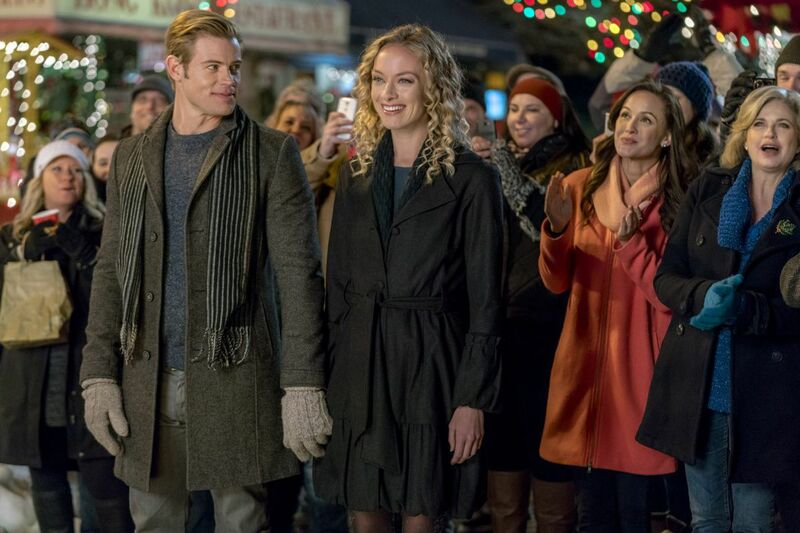 On Oct. 27, just a few weeks after the New York Times broke its story about allegations against film producer Harvey Weinstein, Hallmark kicked off its annual "Countdown to Christmas" and became the most-watched ad-supported cable network for the entire weekend, reaching nearly 17.6 million unduplicated viewers, up 16 percent from the campaign's 2016 opening weekend. I may have some thoughts about counting down to Christmas before we're even done with Halloween, but I don't blame anyone, including myself, for wanting to escape to a place where naked men don't demand back rubs (or worse) and where women, I'm happy to find, are at least as likely to be running their own businesses as they are to be running after princes.